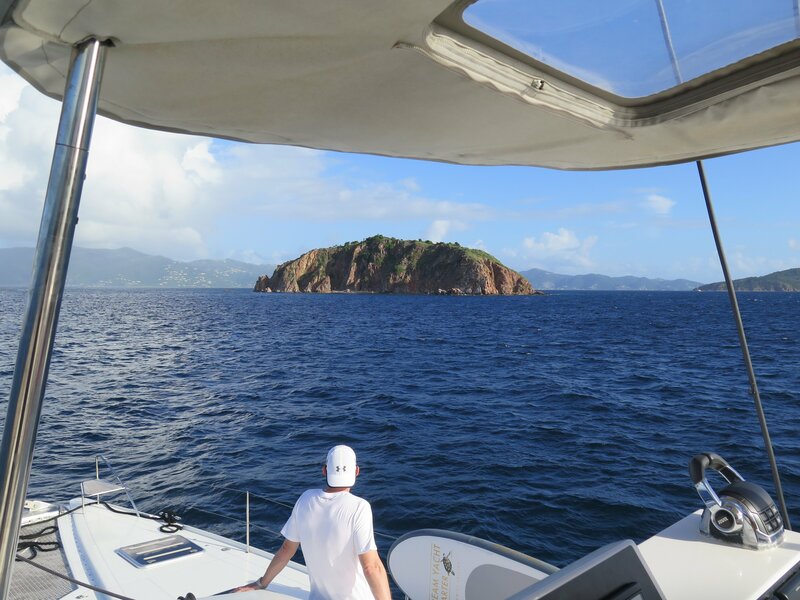 In November our friends and professional baby boomer travel bloggers, the Gypsy Nesters, began an eight day jaunt across the British Virgin Islands and St. Martin aboard the sailing catamaran, Dream Canouan on our BVI Dream Premium cabin charter. The Gypsy Nesters sold their house after their last child left home and began an adventure that has taken them all around the world and resulted in an Amazon bestseller. 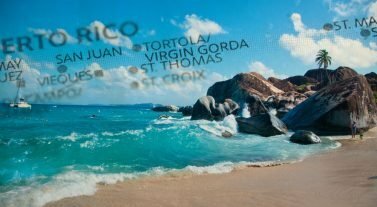 Their mini cruise included stops and overnight anchorages at several out of the way places, such as Jost Van Dyke, Sandy Cay, The Baths on Virgin Gorda, Anegada, the caves at Norman Island and Grand Case, none of which are even remotely possible to reach on larger ships. They traveled from St. Martin to the BVIs and, the Gypsy Nesters say the people of the BVIs are resilient and have come a long way in re-building and welcoming back charterers. Foxy’s is back open with their drinks, food and music along with other local hot-spots that have reopened with vigor. The natural beauty has also made its return, just follow their BVI journey below with some breathtaking photo highlights. In regards to how they felt about traveling to the BVIs, where they once lived. The Gypsy Nesters said: “As soon as we stepped off the plane in St. Martin we felt at home. “The warm tropical breeze filled our senses and immediately took us back to when we lived on St. Croix in the US Virgin Islands. Having spent nearly a decade down here, we have learned a few things about the Caribbean. See where their adventure took them and why traveling on a chartered boat is a more up close and personal way to experience the islands. Read more here. 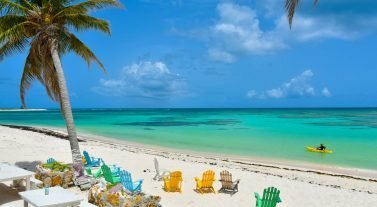 “The Islands of the British Virgin Islands are practically paradise with their vast white sand beaches stretching out under swaying palms and lush mountains rising above to the sky. However, that is only half of the picture. 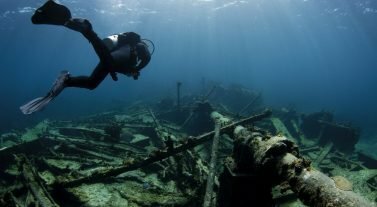 There is an equally amazing world of colors and scenery, along with an incredible collection of marine wildlife, to be discovered beneath the crystal blue water. We have always felt like it is akin to swimming in an aquarium.” The Gypsy Nesters’ under water experience can be seen in photos here. The Gypsy Nesters’ last thoughts: We have to say that we now understand the desire to own your own secluded piece of paradise better than ever. Still, all in all we’d rather be seeing it from a boat. The only bad part of the trip was having to put shoes back on at the end. See the rest of the Gypsy Nesters journey here. Dream Yacht Charter, the leading charter company, is here so everyone can experience a sailing vacation. Whether you are an avid sailor to someone who has little or no sailing experience we have the options for you. Bareboat for the experience sailor who wants to take the helm. Skippered charters are perfect for those who can’t sail and want to experience a vacation on the water. We can help find a skipper for you and some are happy to encourage you to learn more about sailing. By the cabin cruises such as the one the Gypsy Nesters were on is truly suited for everyone, whether you don’t know how to sail, or you simply want to relax and experience life aboard a private staffed boat. You have a cabin with your own private bathroom, just as you would on a cruise ship. Our professional crew manages the sailing on a set itinerary, and a chef prepares your meals from fresh local products. Crewed charters are the pinnacle of all-inclusive chartering, a floating hotel where you are the only guests. Sit back and relax – your crew is there to fulfill your every need. A professional captain will navigate your customized itinerary, and a hostess will act as your personal chef, making culinary magic with your custom provisions. This is your opportunity to be completely spoiled in paradise. Our new base location in the BVIs on Scrub Island is the perfect departure point for your charter. The amenities of Scrub Island Marina, Resort & Spa are all yours and the ease of traveling from Trellis Bay to the island is just a short ferry ride away. If you’re thinking about experiencing our brand new BVI base, check out our BVI fleet. Get in touch with our team today at 833.609.5372 or email infona@dreamyachtcharter.com for more information.